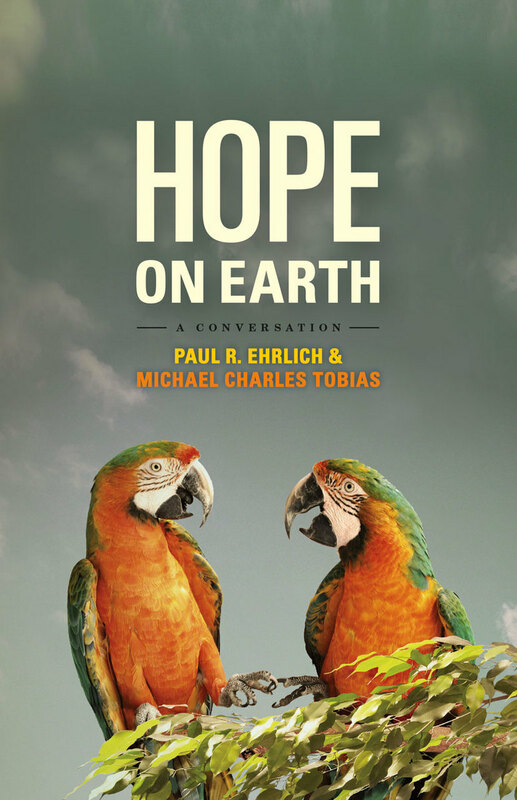 Hope on Earth is the thought-provoking result of a lively and wide-ranging conversation between two of the world’s leading interdisciplinary environmental scientists: Paul R. Ehrlich, whose book The Population Bomb shook the world in 1968 (and continues to shake it), and Michael Charles Tobias, whose over 40 books and 150 films have been read and/or viewed throughout the world. Hope on Earth offers a rare opportunity to listen in as these deeply knowledgeable and highly creative thinkers offer their takes on the most pressing environmental concerns of the moment. Both Ehrlich and Tobias argue that we are on the verge of environmental catastrophe, as the human population continues to grow without restraint and without significant attempts to deal with overconsumption and the vast depletion of resources and climate problems it creates. Though their views are sympathetic, they differ in their approach and in some key moral stances, giving rise to a heated and engaging dialogue that opens up dozens of new avenues of exploration. They both believe that the impact of a human society on its environment is the direct result of its population size, and through their dialogue they break down the complex social problems that are wrapped up in this idea and attempts to overcome it, hitting firmly upon many controversial topics such as circumcision, religion, reproduction, abortion, animal rights, diet, and gun control. For Ehrlich and Tobias, ethics involve not only how we treat other people directly, but how we treat them and other organisms indirectly through our effects on the environment. University of California, Berkeley professor John Harte joins the duo for part of the conversation, and his substantial expertise on energy and climate change adds a crucial perspective to the discussion of the impact of population on global warming. This engaging and timely book invites readers into an intimate conversation with some of the most eminent voices in science as they offer a powerful and approachable argument that the ethical and scientific issues involved in solving our environmental crisis are deeply intertwined, while offering us an optimistic way forward. Hope on Earth is indeed a conversation we should all be having. "Ehrlich made his first big splash in 1968 with The Population Bomb. Writer/filmmaker Tobias has also made environmental conservation his life work. Their illuminating conversation about ethics, ambiguity and how to grapple intelligently with complex environmental threats should attract anyone who despairs of reconciling reality with their ideals."